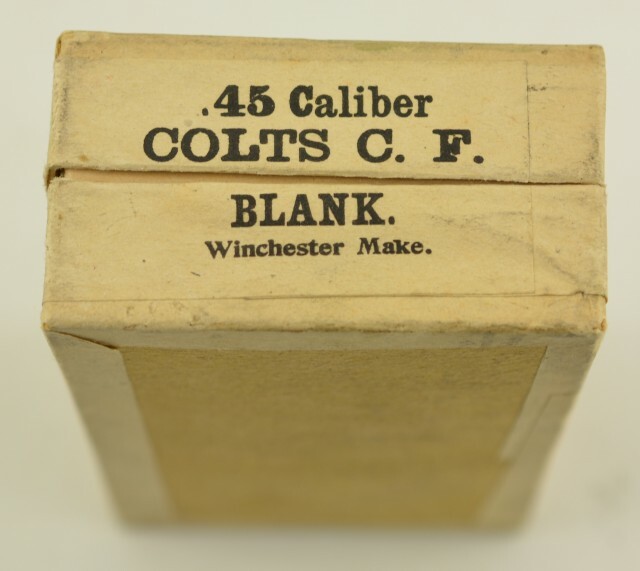 Description: This fifty round two piece half split box wears a most unusual over label reading:"These cartridges are not regular. 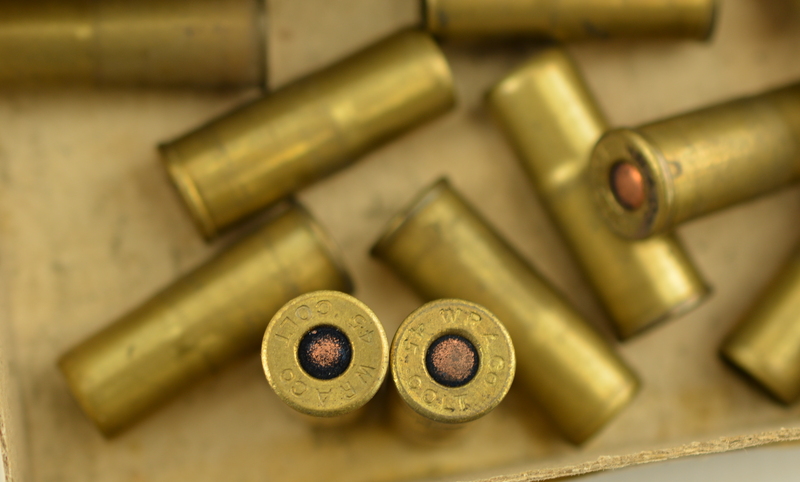 Special loaded to order". Top label is quite plain with no codes and is obviously pasted over a different green label. 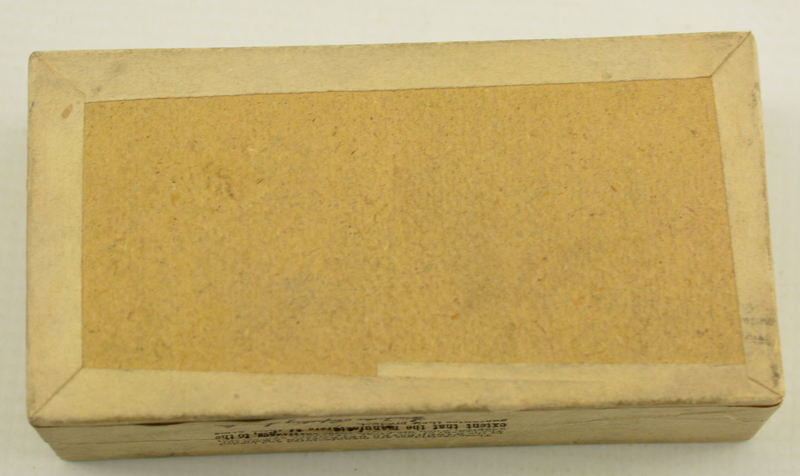 Side sealing label is still attached along one long side, remainder was neatly cut and is all present. 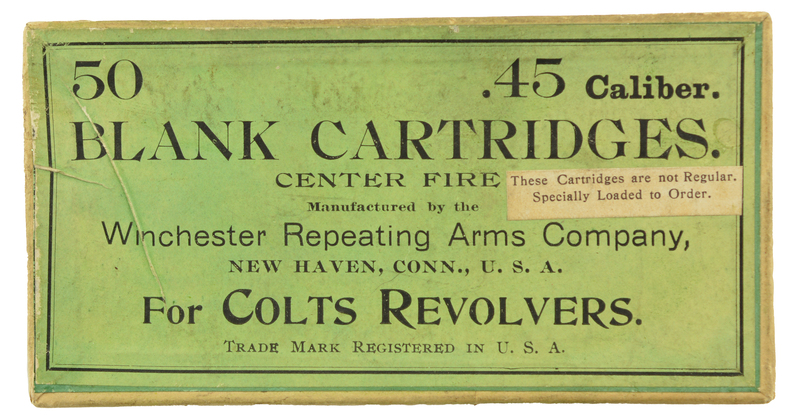 The Colt patent Fire Arms Company logo and rampant colt are on one side. 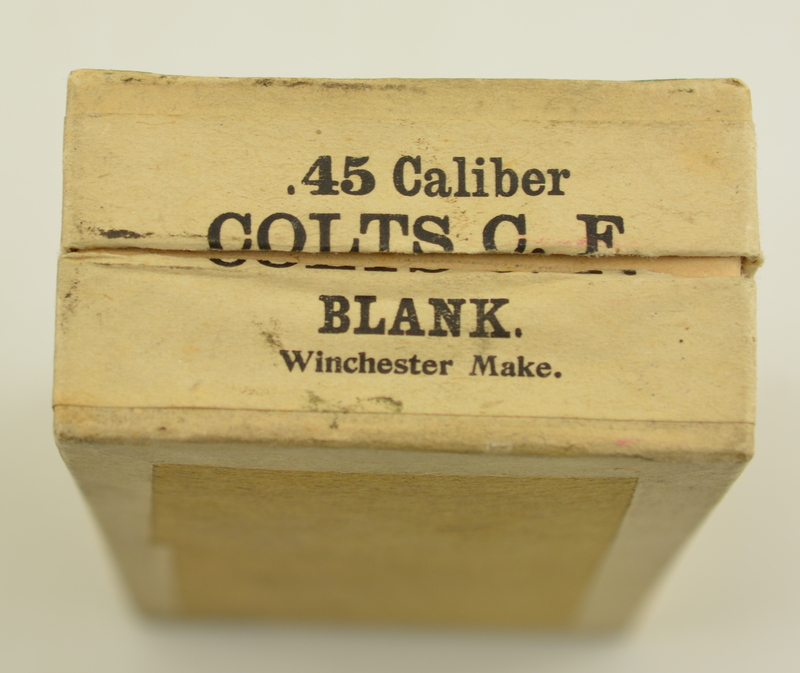 Box contains 14 correct rounds and remains in excellent condition with bright clean labels.